We conduct an initial meeting and consultation, over the phone or in person, to understand your goals and objectives and requirements. You will benefit from our gemologists expertise and will come out of this step with a better understanding and additional knowledge on diamonds in general. After receiving your instructions our team starts working on your project. We research and find the best viable options that meet your criteria through our access to Direct Source Wholesale global marketplace. Generally we source up to 5 options for you to choose from. Once we have all the necessary information we prepare a comprehensive report that showcases the presented diamonds from which you may choose the your best option. All pricing information, freight and taxation information are provided in this report. When you are happy with the selection of presented diamonds and they reflect your objectives you place the order to acquire the diamond/s. We place the order on your behalf, make necessary payments and when the order is received our diamond experts verify the probity of the diamond, ensure everything is correct, take microscope images and send for independent valuation. This is the last step for acquisition cycle where the transaction is finailsed and you take possession of the diamond. As an individual or SMSF investor, if required, we can help you with your storage requirements and introduce you to safe deposit box providers. At any stage of your investment cycle or if you just decided to sell, we can help you to place your diamond/s in global marketplace for sales. How IFFL Saves For You? After the cutting and polishing stage, jewellery manufacturing and retailing add substantial markup on the price of diamonds. What we at IFFL do is simply get into the Direct Source wholesale market right after the cutting and polishing when prices are still at their lowest level. We source diamonds for you and lock in at these lowest prices. For our services we charge a finder’s fee, much like real estate agents, that is far below any mark up at any level even online and is a very negligible compared to substantial mark ups usually added. The difference between this mark up and our finder's fee can amount to thousands of dollars savings for you. Direct Source Wholesale versus mainstream wholesale. Nothing hidden, all cards exposed, fully transparent. 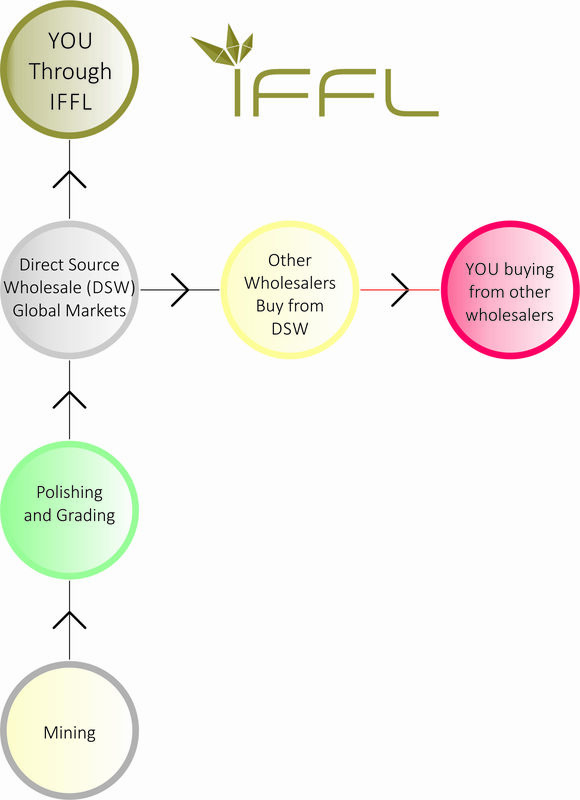 What is Direct Source Wholesale?  After polishing and grading, diamonds are offered for sale through direct source wholesale global marketplace. This platform is available to all other wholesalers and manufacturers who buy and resell diamonds sometimes at retail and sometimes at their own wholesale prices that has profit/markup added. 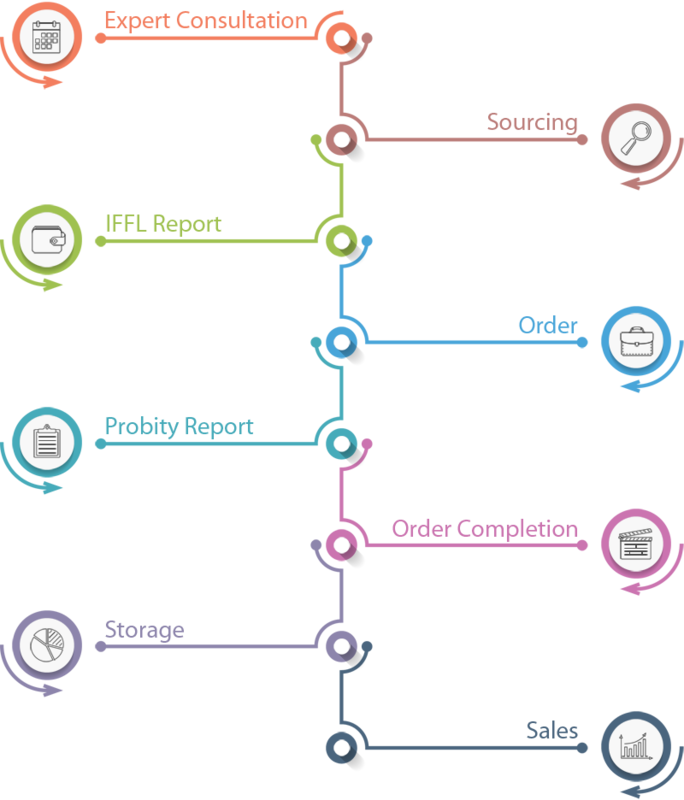 At IFFL you only pay direct source wholesale price, the same price other wholesalers buy and add markup to sell to you, with a small commission. The difference between Direct Source Wholesale and mainstream wholesale prices can amount to thousands of dollars savings for you. © 2017-2018 IFFL™. All Rights Reserved.